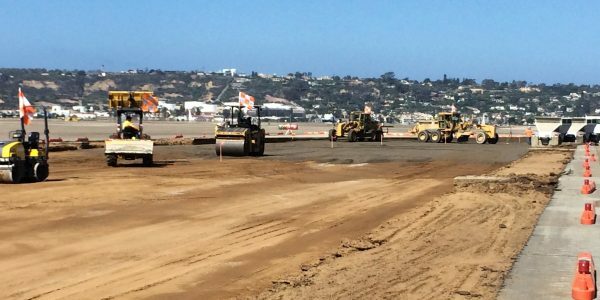 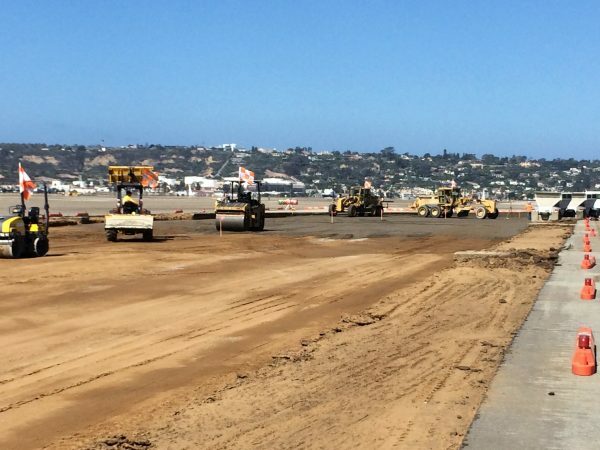 Located at Naval Air Station North Island (NASNI) Coronado, CA, the project objective was to design PCC pavement and AC shoulders to replace the 68-year old PCC Taxiway Bravo Two which has deteriorated due to age, exposure to the elements and newer heavier aircrafts. 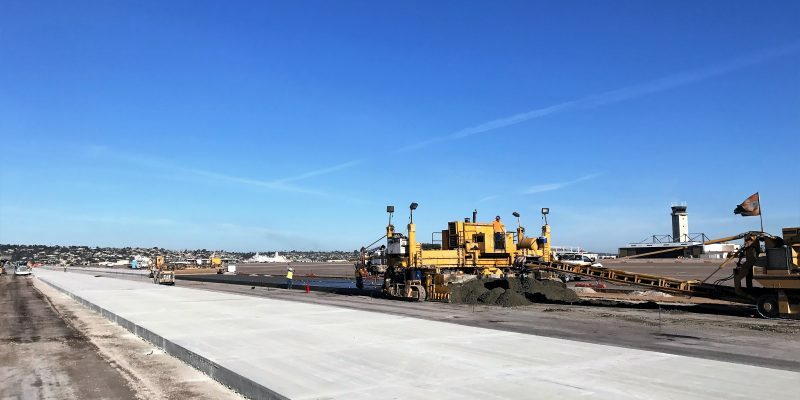 Taxiway Bravo Two is one of the main taxiways at the airfield that support takeoff and landing of various types of Navy, Marine Corps and civilian aircrafts. 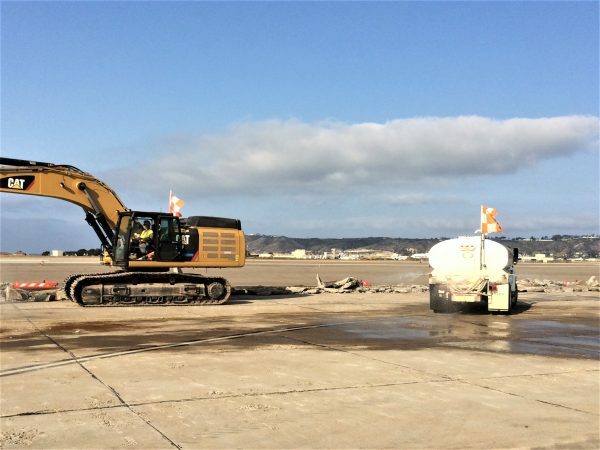 In order to keep the airfield operational, CSI constructed the project in two phases and maintained full communication with AirOps. 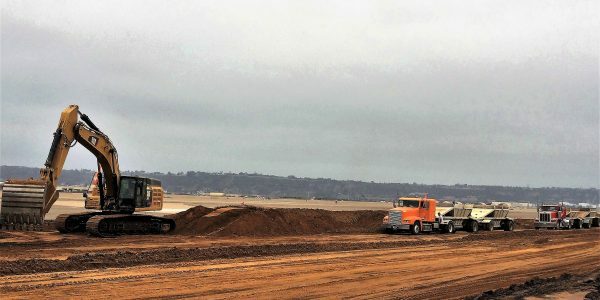 Excavated over 32,000 CY of different material. 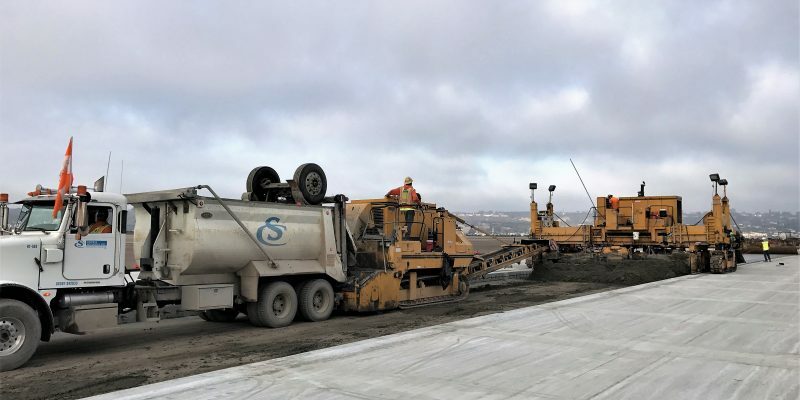 Placed approximately 11,500 CY of cement treated base. 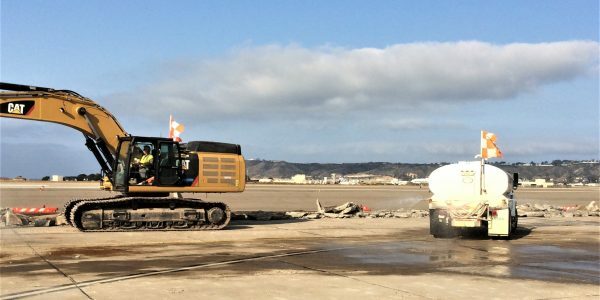 Place approximately 17,700 CY Portland concrete cement. 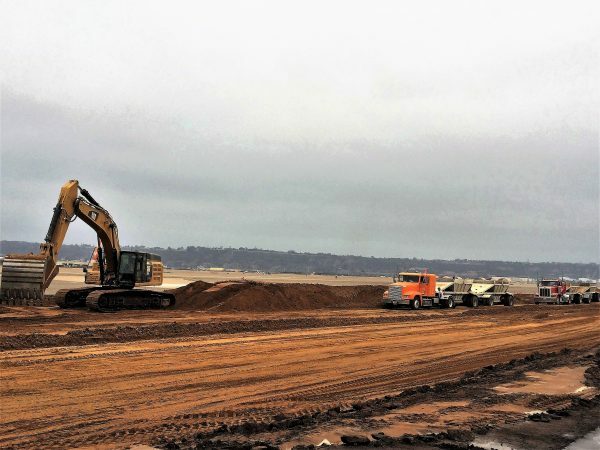 Sequenced the work to keep the airfield operational.